I have to confess I bought this book two years ago and the cover was so dull I just couldn’t bring myself to read it. Then by chance I saw it with an attractive new cover in a bookshop in France and realised that I had packed it (again) for one of my holiday reads. This time I bravely waded in and was immeditely entranced. 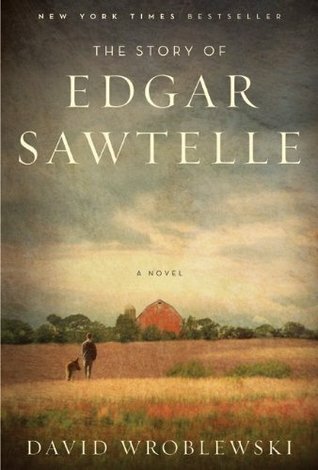 Edgar is a boy born to parents who raised a fictional breed of dogs The Sawtelle Dog, which to be honest I wish actually existed. Not just the dogs are unique and obedient, Edgar is pretty interesting himself. He can’t speak. He can hear, but never could use his voice. It’s hard for his parents at first, but the town seer, Ida (a grim faced storekeeper and known visionary) sends them someone who signs and offers to teach them her skills. Finally Edgar is able to join the world and communicate with his family. Better yet he learns to sign to the dogs and they can understand him. He grows up with Almondine his faithful Sawtelle dog – they understand each other completely and are rarely apart except when he is at school. Together they help train the puppies. Interestingly we also get Almondine's POV in this story and I quite like that element - gut wrenching as it turns out to be. The locale and the family unit are tight knit around the dogs as Edgar grows up, but in the best traditions of the tragic story, the evil brother of his father, Claude shows up, after having done duty as a soldier in Korea. He is bitter, but handsome and carefree, if not downright careless. Edgar resents him and when his father Gar suddenly dies in mysterious circumstances it is Claude who gains the advantage. Edgar knows something is wrong, but can’t exactly pin down what it is. All he knows Claude is making advances on his mother and there is something menacing about Claude that the dogs pick up on as well. His father’s ghost haunts him and Ida the town seer knows that trouble is brewing. Find the bottle or flee and never come back is her sound advice to Edgar. The kindly vet comes to call and he too accidentally perishes, although Edgar beleives he may have killed him. Worse, the vet is the father of the local Sherriff. Edgar's mother sends him out into the wilderness with his dogs, meaning to call him back when things are calmer, but Edgar flees thinking the Sheriff is hunting him down. A boy might survive on his own in the wild by scavenging, but Edgar must survive with a pack of hungry dogs that always look to him to provide. They have no hunting skills and must quickly learn. Police choppers circle overhead and he presses deeper into the nearby forests. How Edgar gets by, learns to pillage and yet maintain the discipline of the dogs is the heart of this story and it is an emotional roller coaster and well deserved of its worldwide success. Addictive and compelling - a retelling of Hamlet - this is a remarkable debut novel and I’d guess an almost impossible act to follow. Now blessed with a better cover – it is well worth seeking out and better yet, you will learn a great deal about dogs on the way.